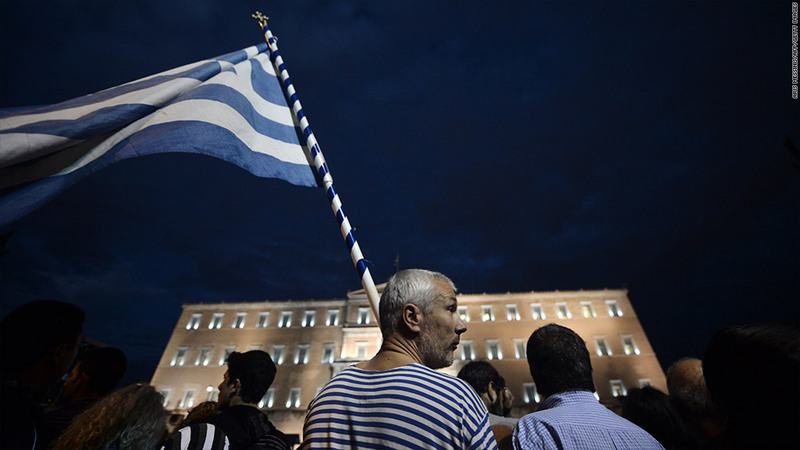 Greeks protest as parliament passes a new package of austerity measures. Greece has received two bailouts from international creditors, but payments of funds under the second program were suspended earlier this year after Athens fell behind its fiscal targets. The Greek parliament Wednesday approved a further round of labor market reforms and spending cuts in the face of violent street protests by tens of thousands of Greeks, angry at years of belt-tightening that have slashed the living standards for many of Greece's population of 10 million. Greece estimates that nearly 3 in 10 people are now materially deprived in one way or another, up by nearly 50% since before the crisis hit. The new austerity measures, and a revised 2013 budget, both need parliamentary support if Greece is to stand any chance of receiving the next 31.5 billion euros in bailout funds from the EU, European Central Bank and International Monetary Fund. The budget will be debated Sunday and eurozone finance ministers could agree as early as next week to give Greece two more years to meet its fiscal targets, paving the way for release of the bailout money, which would avert insolvency and a catastrophic exit from the eurozone. Critics of the government argue that the austerity measures are pulling Greece into a downward spiral of economic contraction and impoverishment. The economy is forecast to contract by 4.5% in 2013, a sixth straight year of recession.